First of all, Happy Canada Day! Secondly, today marks the official launch of my seventh Eve inspired album, New Eden Soundtrack! Over one hour of dark, science fiction ambient music for you to set as the backdrop to your Eve Online experience. As always, this album is available on over 32 digital distributors, including AMAZON. Thank you for your continued support over the years and I hope you enjoy this album even more than you have my previous works. 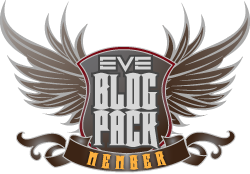 This entry was posted in Store of Roc and tagged EVE Online, music, Roc Wieler. Bookmark the permalink. This is very good… The music fits EVE so well. I hope CCP buys the rights to use it in EVE Online. Would make me turn music back on in game and the PR of CCP buying music from a player would attract new players to the game. Wouldn’t that be something. I’m glad you’re liking the album. Please spread the word. Just listening to your new sound track now. I have high hopes with the amazing-ness of your other albums! Thanks! I hope you enjoy them as well and look forward to your feedback. Got my mp3s from cdbaby today, very enjoyable :). I’m truly glad to hear that. Oh and also, I’m listening to the album. It’s awesome Roc. Glad you’re liking it bud. Thanks for the tweet. Hope to see the Facebook promo soon too! And about the music contest, that’s great news! I’ll be allowed to enter, yes? Glad you like it! We don’t have spotify in Canada. Tell me, is it a free service or a premium one? There’s a free, limited version and two stages of paid service. I’m also going to check this out on Spotify tomorrow… bedtime now! My original album, Bio, was physical, and while I did enjoy the extra effort of a physical CD with a sleeve, artwork and stories, very few people wanted it. In fact, the demand was for a digital release. Since then, the numbers have gone up drastically, and the costs have gone down. I know people like you and I are a minority nowadays, but I enjoy a good CD in the hand as well. Sadly, not gonna happen with my music. Very good! Listening to it on Spotify Premium right now! I was hoping for a Jita track, busy and crazy :-p Very good! Is the FLAC / other losless compression format available? The sale of MP3 Downloads is currently only available to US customers…..
Can you advice me the store in Russia there the album aviable ? It honestly should be. I did not refuse any countries. Should be worldwide. Any other Russians unable to purchase my music? Sounds like the problem might be bigger than thought. Double checked last night. Says worldwide. Will contact my distributor.